This adorable wall hanging features an owl nestled in a Christmas wreath. 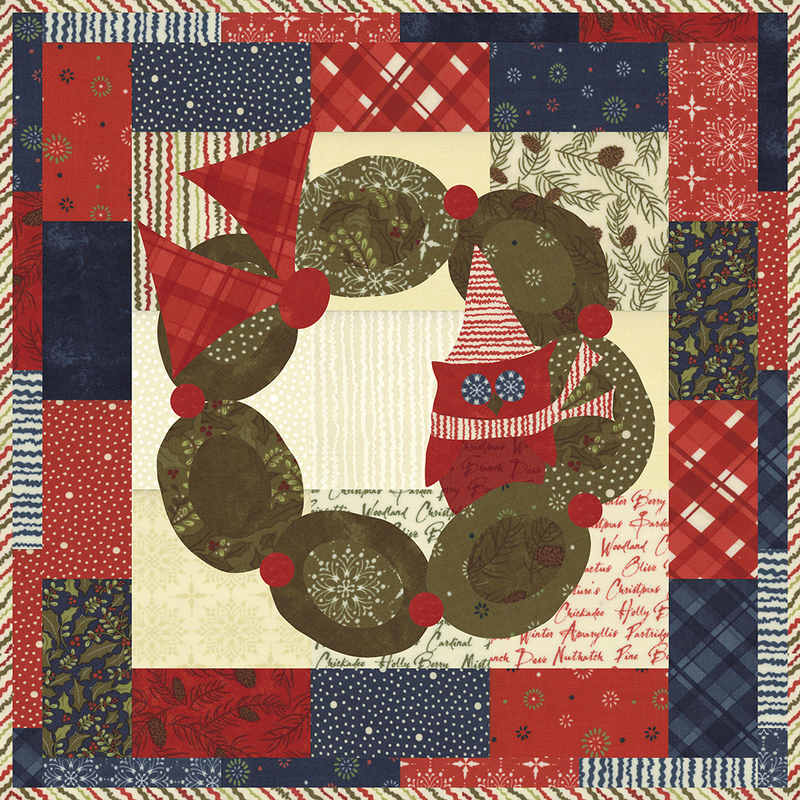 This is made from one Nature's Christmas Charm Pack and extra yardage to finish. Finished size: 19" x 19"